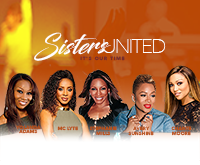 Sisters United: It’s Our Time originally scheduled for Thursday, September 20 has been canceled. Previously purchased tickets may be returned to the original point of purchase for a refund. Tickets purchased online will automatically be refunded. Please contact the box office at 757-838-4203 with questions.